With a fastening torque of 700 ft.-lbs. 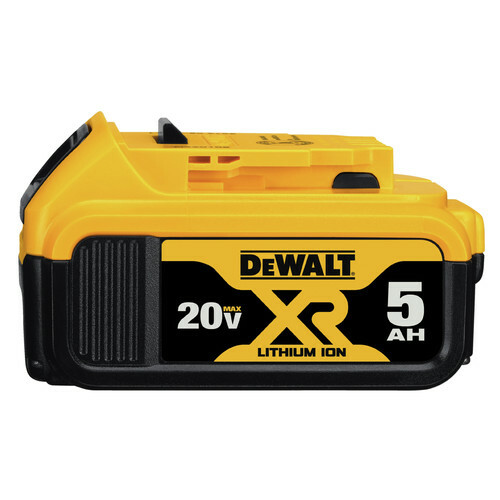 and breakaway torque of 1,200 ft.-lbs., the DeWALT DCF897B 20V MAX XR Brushless Lithium-Ion 3/4 in. Impact Wrench provides heavy-duty, efficient performance. It can handle an 8 ft. drop and its anvil is resistant to shearing and breakage. I've owned DeWalt for years. Every year better and better. The 20V stuff is the bomb. Plenty of torque and batteries keep me earning money all day long. This tool is not a toy. It is an INVESTMENT. A must need for mechanics! Three power modes help a lot. Always use a torque wrench to achieve desired torque value. It hasn’t encountered a bolt it can’t remove. At least for my applications. If your working on rock crushing machines like changing the crushing teeth it wouldn’t be enough. Same for bridge bolts. Luckily I don’t need it for those and it works great. The type 3 model is made in the USA and hasn’t made the ratcheting sound like the type 1/2 models. Awesome tool. I like the 3/4 platform. I work on semis and heavy eqpt. This thing hasnt let me down once. This tool will take lug nuts off a semi with no problem. The Dewalt 20V XR Impact Wrench has exceeded my expectations. It easily removes lugs nuts off my cars and trucks. Easily removed heavy duty suspension component bolts too. This is one powerful tool that I highly recommend. Dewalt products consistently and reliably perform the tasks they were designed to accomplish. The new Dewalt 20V Lithium Power Tool Platform for Power Tools is a game changer for professionals and hobbyists. I was a little nervous after making the purchase but my Dewalt tools never seem to fail me. This 3/4 inch 20V Impact Driver is a beast. It broke nuts off every tire I put it to! Even with the 2aH battery, it would be good for many tire changes on one charge. BEST ANSWER: It is with hog ring anvil. The description is correct. Dose the 3/4 drive have any more brake away torque than the 1/2 in drive?